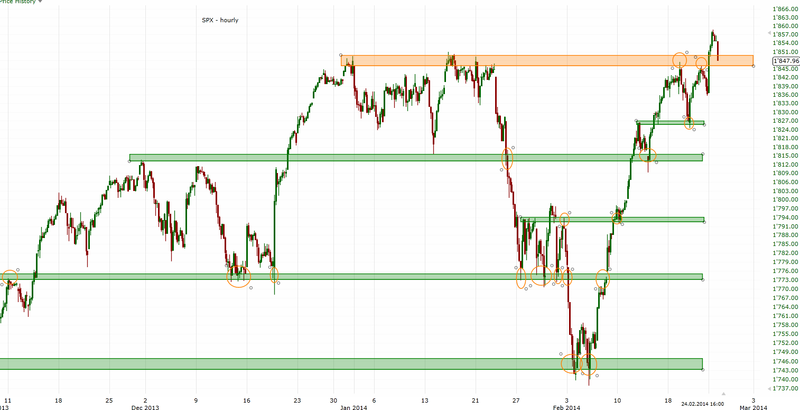 The SPX rallied above 1850 but unfortunately didn't close above it. However, as long as 1845ish holds, 1900ish should be our next target. I'd really like to see a daily close above 1850ish though as it would make the rally to 1900ish much more likely.